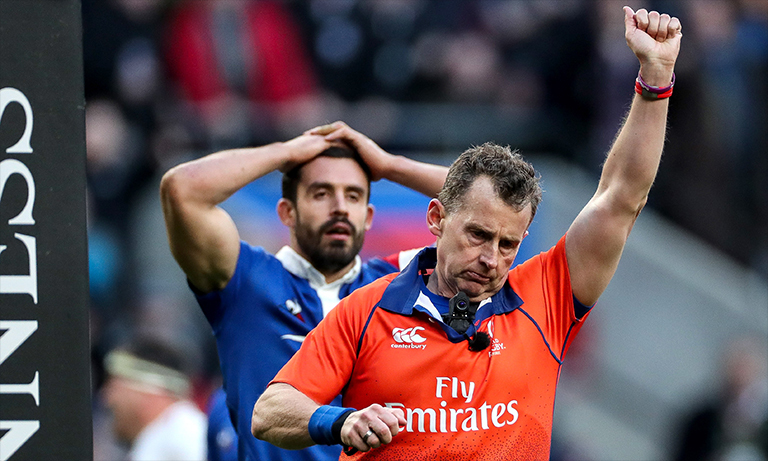 Nigel Owens has called out a fan on Twitter after he criticised his decision to award a penalty try to England in their win over France at Twickenham on Sunday. The Welshman judged that winger Chris Ashton was taken out off the ball, preventing him from scoring a certain try, and after a double checking with his TMO – awarded a penalty try. The fan said it was “another big decision wrong” from Owens, and claimed people aren’t allowed to criticise him because of who he is. Owens said “no one is above criticism” and suggested the fan “have a long look in the mirror” before criticising others. Owens also noticed that the fan’s timeline was filled with him having a go at referees and suggested he have at go at officiating himself to see if he can do any better. Starting with U8s tag rugby!